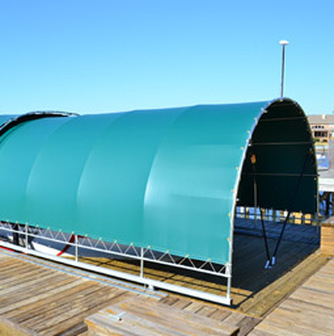 We manufacture and repair Awnings, Tarps, Boat Lift Cover, Moonwalks and any custom cover. We are experts in custom-made and long lasting awnings for homes and businesses. Mustang, has been installing affordable and beautiful awnings for over 25 years. Let us manufacture your traditional canvas awnings, custom roll up curtain, metal standing-seam awnings, sails or entry way canopies. WE DO IT ALL!!!! We manufacture and repair tarps with a variety of fabrics to choose from *14 oz, 18 oz, 22 oz, N mesh, insulated OD and etc*. Whether you need a tarp for a dump truck , asphalt truck, flatbed trailer or curtain-side we are your solution. Don't think there is no solution for your old tarps, we will patch them back to new. We give FREE estimates on tarp repairs!!! We give free estimates on tarp repairs!!! Mustang is the biggest in Houston, for moonwalk and inflatable repairs. Need to add a pool, stop wall, liner, step liner or air tube. 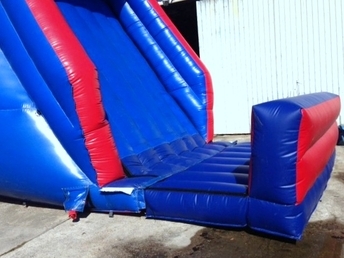 We will modify your inflatable and repair your unit. We repair any hole, seam, netting and baffle problems you might have with your unit. Bring your units in on Monday and we will have it by the weekend! We also sell used units and help clients sell there used units. We manufacture Boat lifts with all weather resistant, easy to clean and longer life material.